The Mid-Fi Electronics Clari(not) is an Envelope controlled Vibrato/chorus/wow and flutter simulator, with the ability to modulate over an octave. Certain settings will create what almost sounds like an elastic pitch shifted slapback. 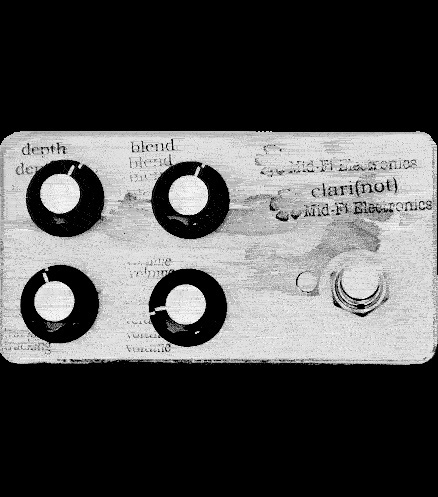 Currently available is the “Clean” 4-knob version. Mid-Fi also makes a 5-knob “Fuzz” version, which adds a Volume knob.